Lady Washington, the official tall ship of the state of Washington, will be making a 20-stop tour of California ports for the 2012-2013 season. It arrived in Redondo Beach’s King Harbor Nov. 21 and will stay through Dec. 5, then it will head to Chula Vista Dec. 7-18. 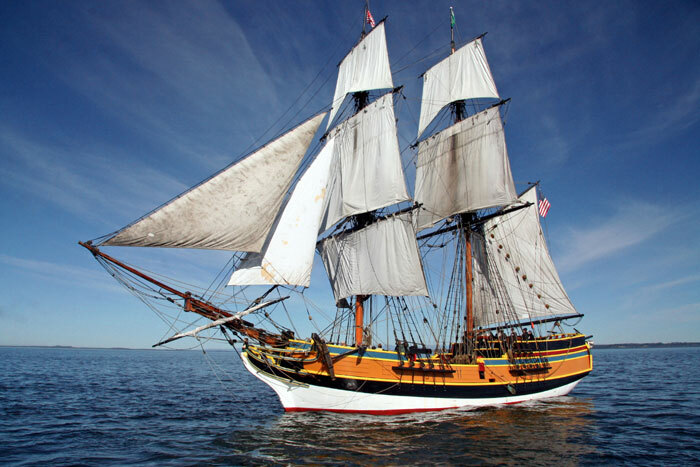 Lady Washington, which is classified as a brig, was launched in 1989 and is a replica of one of the first U.S.-flagged ships to explore the West Coast of North America. The ship, which has appeared in many motion pictures and television shows in recent years, will be available for walk-on tours and adventure sails at both berthing locations. Walk-on tours offer a chance for the general public to visit the tall ship and learn more about the ship’s voyages. Crew in period costume will welcome visitors, and no reservations are required. A $3 donation is requested. An Adventure Sail is a three-hour excursion that includes opportunities for guests to help raise a sail, learn a sea chantey, hear maritime stories and take the helm, conditions permitting. Tickets for Adventure Sails are $39 for all ages. Tickets can be purchased online at historicalseaport.org or by calling (800) 200-5239. The ship is also taking reservations for Kindergarten-12th grade classes and home-school groups, for 1-hour and 3-hour living history education programs aboard the ship. Public schools are eligible for discounts. To learn more or make reservations, contact the education program manager at (800) 200-5239. Nov. 23: Walk-on tours, Noon-5 p.m. No reservation required, but $3 donation requested. Nov. 24-25: Walk-on tours, 10 a.m.-1 p.m. No reservation required, but $3 donation requested. Nov. 24-25: Adventure Sail, 2 p.m.-5 p.m. $39 all ages. Nov. 27-30: Walk-on tours, 4 p.m.-5 p.m. No reservation required, but $3 donation requested. Dec. 1-2: Walk-on tours, 10 a.m.-1 p.m. No reservation required, but $3 donation requested. Dec. 1-2: Adventure Sail, 2 p.m.-5 p.m. $39 all ages. Dec. 4-5: Walk-on tours, 4 p.m.-5 p.m. No reservation required, but $3 donation requested. Dec. 8-9: Walk-on tours, 10 a.m.-1 p.m. No reservation required, but $3 donation requested. Dec.8-9: Adventure Sail, 2 p.m.-5 p.m. $39 all ages. Dec. 11-14: Walk-on tours, 4 p.m.-5 p.m. No reservation required, but $3 donation requested. Dec. 15-16: Walk-on tours, 10 a.m.-1 p.m. No reservation required, but $3 donation requested. Dec. 15-16: Adventure Sail, 2 p.m.-5 p.m. $39 all ages. Dec. 18: Walk-on tours, 4 p.m.-5 p.m. No reservation required, but $3 donation requested.